Root's unbeaten 111 helped England reach 325 for four in their second innings, an overall lead of 448 runs. 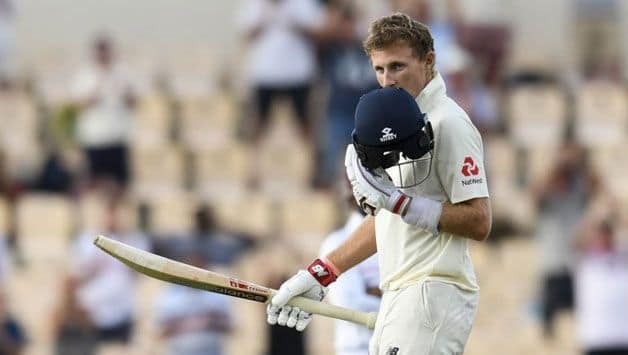 Joe Root‘s 16th Test century highlighted England’s first day of complete dominance in an otherwise disappointing Caribbean campaign as the captain anchored his team to an unassailable position by the end of the third day of the third and final Test against the West Indies at the Darren Sammy Stadium in St Lucia on Monday. A morning of misfortune and misadventure saw England ensuring there was no repetition of the collapses which have defined this Caribbean tour so far, although the early signs were not encouraging. Resuming at the overnight position of 19 without loss, the tourists suffered an immediate setback when Rory Burns clipped the first delivery of the morning to Alzarri Joseph at square-leg to give Paul immediate success. 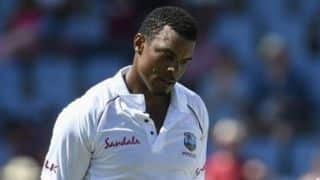 West Indies did not help their increasingly difficult situation when Shimron Hetmyer put down a simple chance offered by Denly off Gabriel. It proved a costly miss. 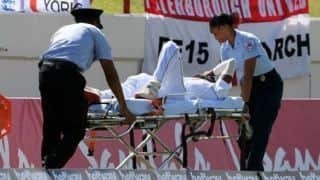 He lost the other opening batsman, Keaton Jennings, midway through the morning when the left-hander attempted to turn a delivery from Joseph top the leg-side and the ball ricocheted off his body onto the stumps to send him back to the pavilion for 23. Brief scores: England 277 & 325/4 (Joe Root 111*, Joe Denly 69; Keemo Paul 1-11) lead West Indies 154 by 448 runs.